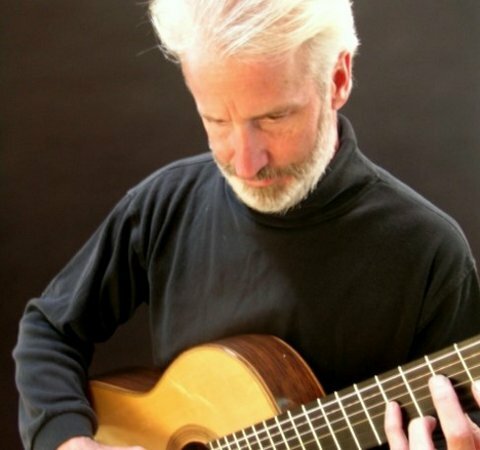 David Yard is a long-time performer and mentor of guitar. In 1984 he established a studio in Santa Fe after extensive studies of guitar and composition at Arizona State University in Tempe. The concert events feature Yard sharing his guitar expertise with his popular Baroque Period repetoire and original compositions. Daniel Weston is known for revealing the breadth and beauty of guitar in over 700 shows since turning professional in 1996 after earning Bachelor and Master of Music degrees. He is a direct heir by mentorship to legendary guitarist Francisco Tarrega (1852-1909), considered the founder of classical guitar method. Weston’s specialty is the music of the Spanish Impressionists and pieces of his own composition. Yard and Weston perform enduring solo guitar favorites. They are the outstanding ‘2 Fabulous Guitarists’. Each will play a forty five minute set of showpieces from 500 years of music masterpieces. “POW WOW HIGHWAY” Tuesday, August 13, at 7 p.m. in The Performance Space. The state’s only ongoing film series dedicated to showing movies with a New Mexico connection, is excited to present “Pow Wow Highway,” winner of the 1989 Filmmakers Trophy (Dramatic Competition) at the Sundance Film Festival. Hailed by many, on its release, as the first Native American road movie, “Pow Wow Highway” zeros in on the Northern Cheyenne tribe of Lame Deer, Montana, for whom the American Dream has taken a grim detour. A Martinez plays Buddy Red Bow, a committed activist battling a suspicious land grab. In contrast, Philbert Bono (actor Gary Farmer in a performance Roger Ebert called “one of the most wholly convincing I’ve seen”) is a serene spiritual warrior guided by sacred visions. When Buddy’s estranged sister is framed and jailed in New Mexico, the two men take off in Philbert’s ’64 Buick “war pony” on a road trip that takes some unexpected turns. Jonathan Wacks, who produced “Repo Man,” directed this acclaimed comedy/drama about Native Americans understanding their past, fighting for their future and discovering a few truths along the “Pow Wow Highway.” Reel New Mexico presents films with a New Mexico connection on the second Tuesday of the month, at 7 p.m. in The Performance Space at La Tienda Center, off Avenida Vista Grande at 285. Directions are at http://www.reelnewmexico.com . A contribution of five dollars is suggested. Grammy award winning singer/songwriter live in concert on Wednesday, August 14. Doors open at 7 pm. Tickets $15 at the door. This entry was posted in Films, live music and tagged classical guitar, Daniel Weston, David Yard, live music, Pow wow highway, Reel New Mexico, Wendy Waldman. Bookmark the permalink.